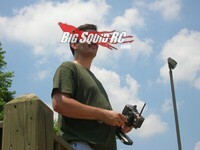 savage xs « Big Squid RC – RC Car and Truck News, Reviews, Videos, and More! You are browsing the "savage xs" tag archive. GH Racing has announced more hop-up parts for the HPI Savage XS. They have a new Aluminum Shock Tower, and Front and Rear Skid Plate. Need more info, you can head over to the GH Racing webpage for details. Want to see what other GH Racing products we have mentioned recently? Click HERE to check them out. 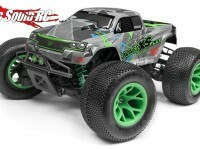 HPI Racing recently announced a couple of sweet looking shells for the Savage XS. Both the Jeep Wrangler Rubicon and Chevtrolet El-Camino SS bodies come with decals and masks, and are made from durable 0.030″ polycarbonate. More info is available on the HPI website here and here.